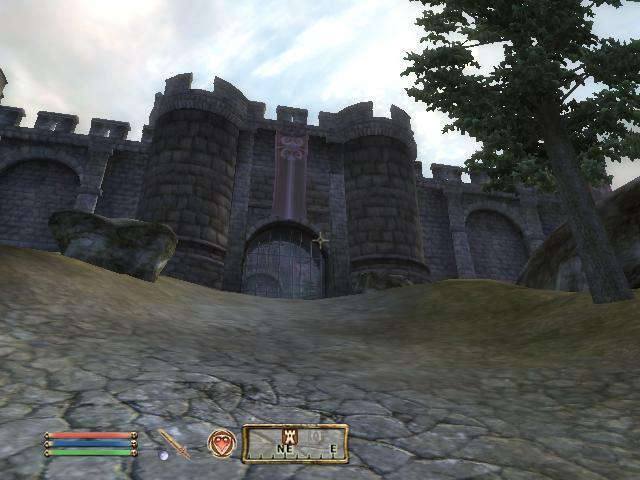 This post will be about the Fighter’s Stronghold plugin for Oblivion, which adds a player home suited for fighter characters. When you start the game with the plugin installed, you get a journal update saying you heard a rumour about a siege at Battlehorn Castle. The lord of the castle has been killed, and the defenders are offering the castle itself as a reward for anyone who can help lift the siege. Battlehorn Castle is located at the end of the Black Road, west of the city of Chorrol. When you arrive there you should find four marauders and the besieged defenders battling it out. On the ground you’ll find the corpse of Lord Kelvyn, the previous owner. Once all the marauders have been defeated, talk to one of the remaining men-at-arms. They will present you with Lord Kevlyn’s will, which gives you legal ownership of the castle. The will explains that Battlehorn Castle was built by remnants of the Knights of the True Horn, who were banished from Hammerfell when they failed to dethrone Baron Shrike of Lainlyn. Their leader, Lord Kain, ordered the Knights to split up into small groups until he called for them to regroup. Lord Kevlyn’s father, Lord Jaren, was part of the group to settle in Cyrodiil. All the others disbanded or passed on, and Lord Jaren came to be the leader of Battlehorn Castle. However, the Knights had fallen on hard times, and many of the furniture had to be sold to pay for castle maintenance. Lord Kelvyn recommends finding Nilphas Omellian, who may hold many of the original items. Of course, you’ll have to pay off the debts to get them back. A wine cellar upgrade. This adds wine racks, a second vat (with 20 bottles of cheap wine in it) and many smaller vats (for unique wine) to the cellar. It also hires a vintner named Talan, who is a brother of the famous winemaker Tamika of Skingrad. Given the right ingredients, he can make unique wines added by the plugin. These appear in the seven small vats (one for each new wine). 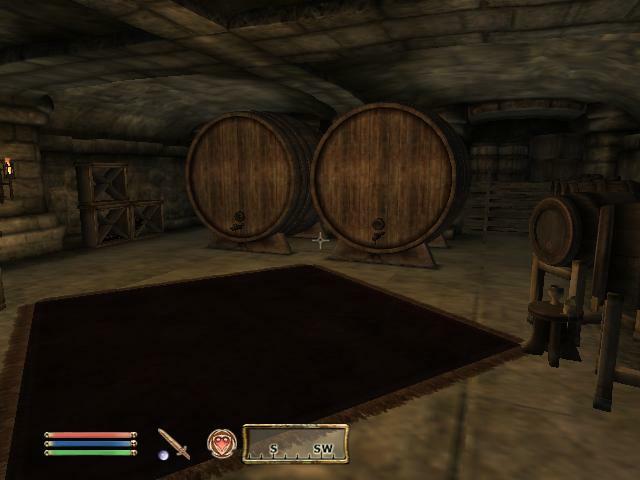 Talan will also restock the two large vats with mead and cheap wine. A bedroom upgrade. This adds a larger bed, some much-needed furniture and a personal maid to your private quarters. The maid, Rona Benanius, can serve you any drinks the wine cellar has in stock, as well as cheese, grapes, sweetrolls, Shepard’s Pie, strawberies and mutton. She also sometimes knocks over items you have on display, and will take a weapon to defend herself with if attacked. She can be told to follow the player. A kitchen area upgrade, which adds some cupboards, tables and a dead deer to a room in the basement. 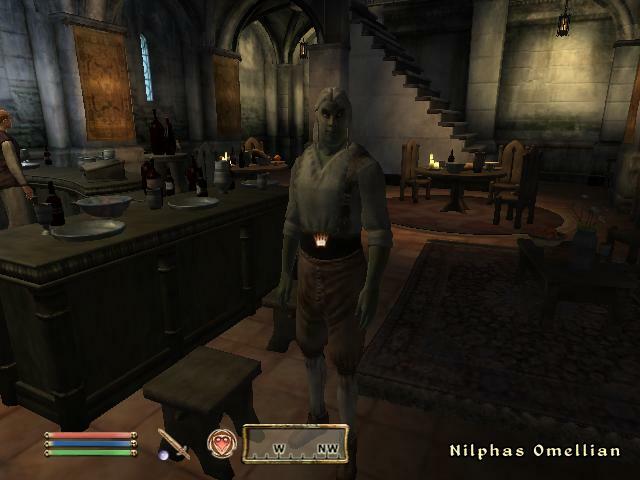 It also hires Plautis Rusonius, a cook who used to work at the Tiber Septim Hotel in the Talos Plaza District of the Imperial City. He can provide you with the same stuff as your maid. A library upgrade, which adds a large amount of books to your private quarters. A trophy room upgrade. It hires Melisi Daren, a taxidermist, and transforms an empty room in the east wing into a taxidermy area. By giving her pelts or ingredients collected from dead enemies, she can create replicas and will put them on display in the great hall. She can create eight stuffed replicas: wolf, (brown) bear, lion, troll, ogre, minotaur, clannfear and daedroth. The daedroth replica is placed on a stand near the entrance, while the rest are in a room behind. A barracks upgrade, which adds two more men-at-arms and a captain called Castellan Athon. The men-at-arms respawn, but if the captain dies you can buy another (nameless) castellan from Nilphas. A training area upgrade. This adds several training dummies and archery targets to a room in the basement. It also hires a sparring partner, Shagrol gro-Uzug. Shagrol was once a famous Arena champion. When sparring, he uses special weapons which cause no damage (good for training block, but won’t help you train light or heavy armour). As he’s marked essential, he won’t die but will simply be knocked unconscious. A dining area upgrade, which turns the crappy benches and ceramics in the east wing into upper-class silverware and fancy tables and chairs. Once you’ve purchased at least one other upgrade, Nilphas will send a letter to Battlehorn Castle. It will be delivered to you by one of your men-at-arms. 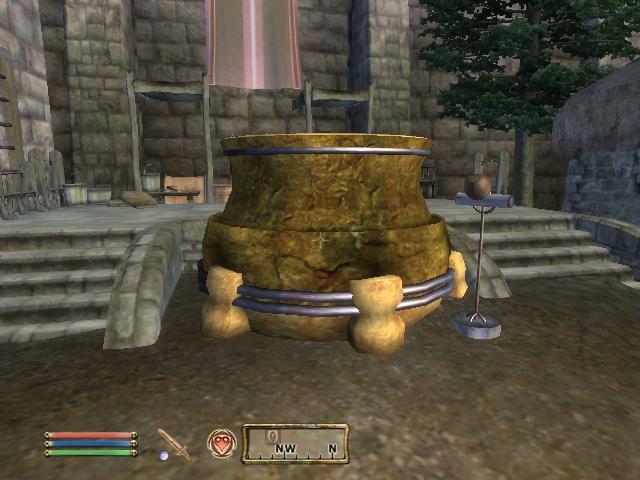 Nilphas has come into possession of an ancient Dwemer forge, and is wiling to sell it to you – even though by law you need an Imperial charter to trade Dwemer artifacts (although no merchants in either Vvardenfell nor Cyrodiil really care). It will replace the generic forge in the courtyard once purchased, and standing near it will fortify your armourer skill by 15 points. Plus it looks awesome. 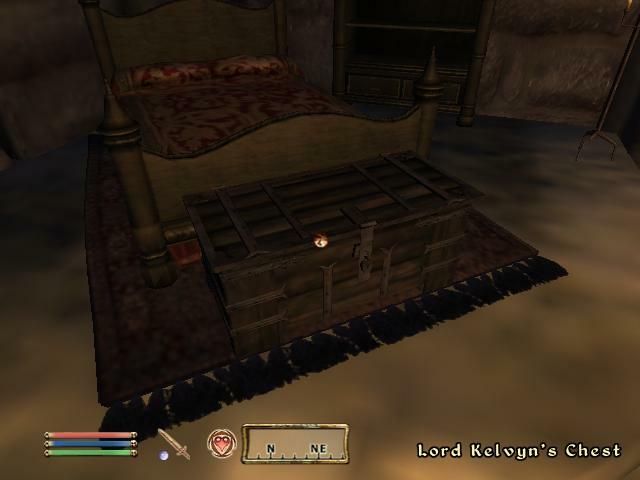 Once you’ve bought all the upgrades, a chest will be placed at the end of your bed. Inside you’ll find Lord Kelvyn’s Bulwark, an enchanted shield with the emblem of the Knights of the True Horn displayed on it (the same as the shields your men-at-arms have). But it doesn’t end there. Like all castles, Battlehorn has a few secret passages. One can be found by using the door at the back of the wine cellar. It will lead to a small, closed-off room. If you look carefully however, you will see a movable pillar on the wall. The wall will slide down and you’ll find yourself in the great hall. A second movable pillar can be found in your private quarters, which will reveal a secret storage room. Inside you’ll find the journal of Lord Jaren, Kelvyn’s father. It tells of how, when only himself and his friend Garridan were in the castle, Lord Kain arrive. He was accompanied by Arielle Jurard – not the friendly battlemage from a Mages Guild quest, however. This Arielle was a necromancer. Lord Kain had trouble speaking and moved like an old man, and left a bad smell behind. Arielle explained that Lord Kain had died in battle shortly after the Knights split, but she had raised him again and planned to use him as an undead puppet once Baron Shrike was defeated. Lord Jaren was appalled, and he and Garridan sealed them into the ‘grotto’. He had planned to tell his son Kelvyn about it one day, but as explained in Lord Kelvyn’s will his father had a premature death and obviously never got around to it. The journal hints that the entrance to the grotto was once in the training room. Behind the archery target you’ll find an unlit candelabra. Pulling it will open up a secret tunnel which leads down into the grotto. Inside you’ll find a skeleton and a nether lich. Arielle somehow transformed herself into a lich, and according to a scrap of paper found on her body the skeleton was the remains of Lord Kain. The resurrection hadn’t worked properly and his flesh had decomposed, but he still remained “alive”. Lord Kain holds two unique items: the Dragonsword of Lainlyn, an enchanted longsword which gives the player a special fire spell when equipped, and Lord Kain’s Shield, another enchanted shield of the True Horn, which gives off 10 feet of light. You can also find three varla stones and a loot chest in the grotto. This plugin is my favourite player house. It adds a lot of unique items and has some interesting upgrades. Plus, you get your own castle. I also really enjoyed the references to The Elder Scrolls II: Daggerfall. 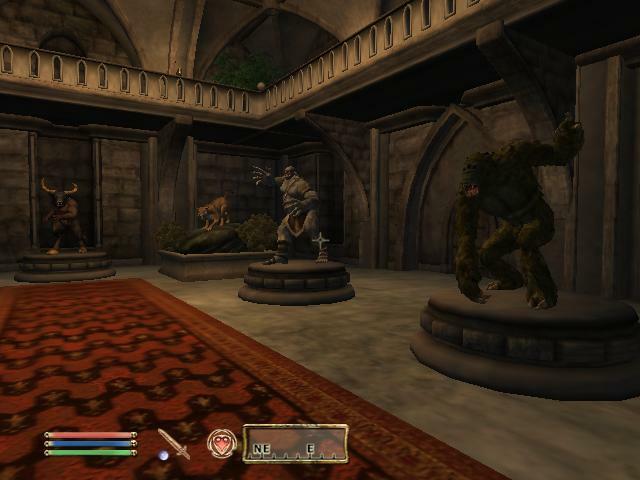 Baron Shrike, Lord Kain, Lainlyn and the Knights of the True Horn all appear in Daggerfall. Baron Shrike was the leader of the Host of the Horn, the official military force in Lainlyn, Hammerfell. Lord Kain was his brother, but Shrike was a ruthless leader and Kain formed the Knights of the True Horn to dethrone him. This mod continues the story, and even though I never played much of Daggerfall I enjoyed reading about the lore. The altar to Julianos is also a nice touch, as Julianos is the main deity of Lainlyn. The knight who helped Lord Jaren seal up the grotto, Garridan, can be met during the miscellaneous quest ‘Tears of the Savior’. 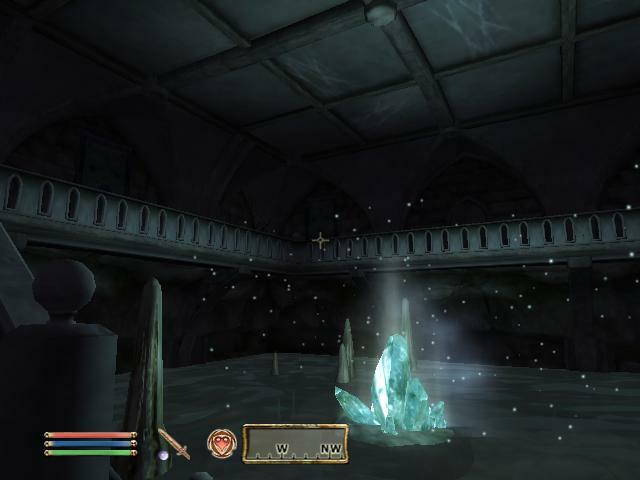 He is frozen in a block of ice, and the quest is to collect his frozen tears which have been transformed into crystals. More can be learned from the ingame book Knightfall, which is written by a ‘Jaren Aethelweald’. The taxidermist you hire comes with a recommendation from her previous employer, a man named Baenlin. In a Dark Brotherhood quest you have to kill Baenlin by dropping a mounted minotaur head on him (which was probably made by Milisi). These easter eggs really make the mod more fun. However, this plugin was also the hardest to obtain, as it doesn’t come with any retail disc and the Bethesda online store doesn’t accept PayPal. >.> Buying Oblivion off Steam is probably the easiest way to get it, as well as the rest of the DLC and the Shivering Isles expansion pack. A few of the stuffed replicas on display. The wine cellar. Talan is hiding in the corner drinking all the expensive stuff, but you can’t see him from this angle. The Dwemer forge. To be honest I think they just used the textures from Morrowind. Nilphas Omellian, open for business. My next post will be about the Knights of the Nine DLC (but it might take a while as this is the largest official plugin, and I’m back to school). To make sure you keep up-to-date on any new posts, you can follow me on Twitter or get notified by email by subscribing using the widget on the sidebar. 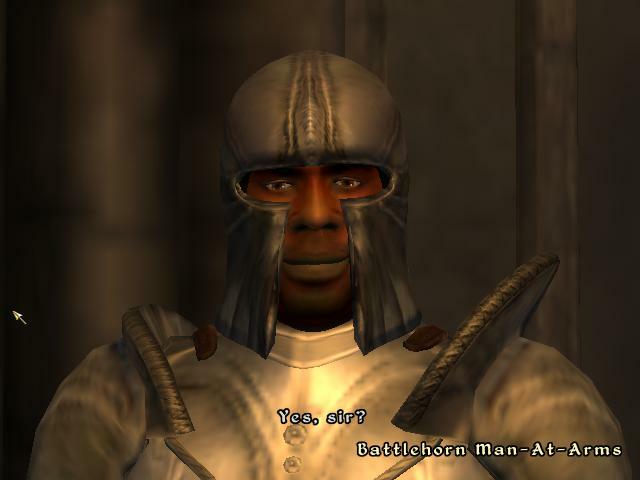 Entry filed under: All, Oblivion, The Elder Scrolls. Tags: Battlehorn Castle, castle, Daggerfall, Dragonsword of Lainlyn, Dwemer, Fighter's Stronghold, grotto, Knights of the True Horn, Lainlyn, Lord Kain, Lord Kelvyn, marauders, nether lich, skeleton, stuffed replicas, wine cellar. legoless: Yeah, sorry about the delay. I didn’t have the time to get the screenshots needed for my next post until now. Ok thanks, the previous one was me btw, thanks, bye. my upgrades dont go to trhe castle they stay in my inventory what do i do? legoless: Are you sure the upgrades don’t appear? The receipt is supposed to be added to your inventory.